SMACK! Right on the lips! Feels good, 'eh? Do you have a friend who loves the Beatles *almost* as much as you? Show them you care! This Valentines day, surprise them with your choice of four different beautiful valentine cards. I've made them personally and now you can use them for yourself! 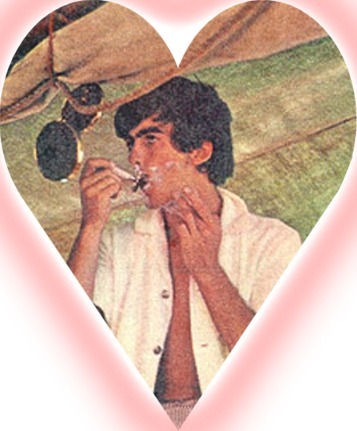 Print out the Beatle heart of your fancy and inscribe a personal message ("Be Mine" or "George Loves You"). Give it to a friend, or your parents (anyone who appreciates the boys!). 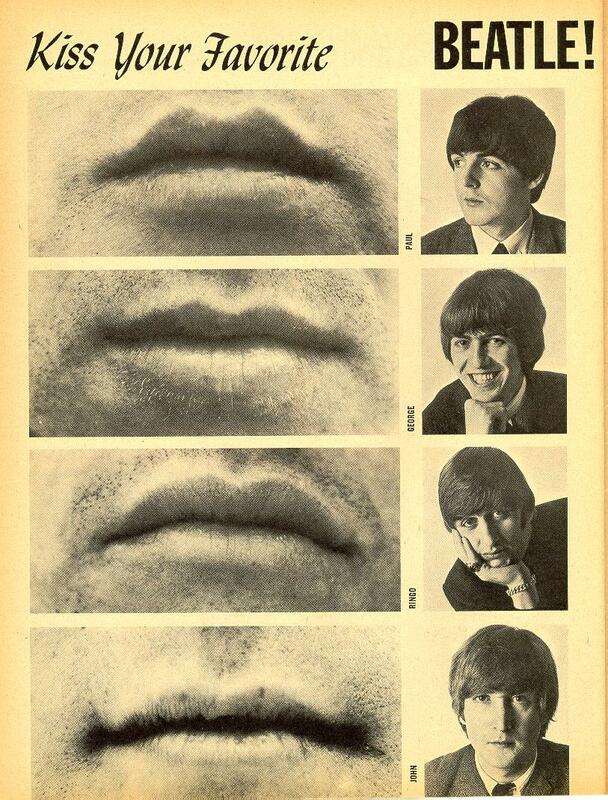 Perhaps you have a *cyber* Beatle pen pal. All you have to do is save the valentine and email it to them with your happy little message. Now, choose your favorite and make someone's day. Ta! 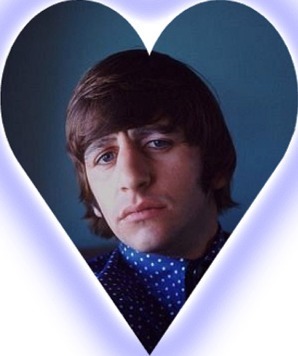 Because I took the time to make these myself, I ask that you do NOT steal these for your own Beatle site. 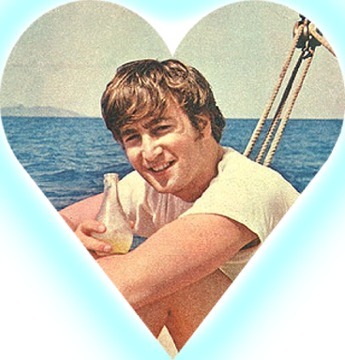 But you are welcome to create a link directly to this page for people who are interested in exchanging Beatle valentines. Thanks!